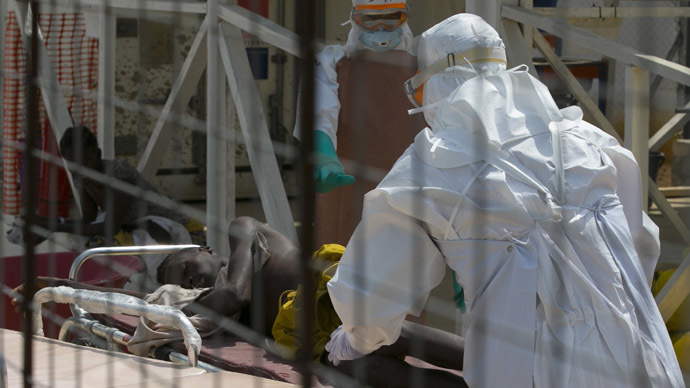 The World Health Organization delayed calling the Ebola epidemic in West Africa a public health emergency because it was worried it could affect local economies or interfere with a Muslim pilgrimage to Mecca, a special report by AP has revealed. Health experts slammed the decision by the WHO to delay issuing a ‘global SOS’ due to fears that it could anger the African countries involved by hampering the development of their economies. Dr Sylvie Briand, head of the pandemic and epidemic diseases department at WHO, admitted to AP that the organization made wrong decisions, but said postponing the alert made sense at the time because it could have had catastrophic economic consequences. Pierre Formenty, a top Ebola expert who was dispatched by the WHO to West Africa to deal with the crisis said Guinea was anxious not to make a big deal of the epidemic, as the country relied on the export of bauxite as its main source of foreign currency. Therefore they were looking to, "minimize artificially the magnitude of the Ebola outbreak to reassure expatriates working in the mining industry," Formenty said. However, Michael Osterholm, an infectious diseases expert at the University of Minnesota said, "That's like saying you don't want to call the fire department because you're afraid the fire trucks will create a disturbance in the neighborhood." Critics of the health body say their failure to act quicker may have cost lives. One former WHO employee, Matthieu Kamwa said: "People died because things were not done." He had previously worked as the agency’s representative to the Democratic Republic of Congo in 2008, when the central African nation experienced an Ebola outbreak. As soon as the crisis was labeled a public health emergency, aid and expertise began pouring in from around the globe. Days later, Canada offered to donate its experimental Ebola virus vaccine after the WHO said it would be ethical to use untested vaccines to try and contain the outbreak. Russia’s consumer watchdog Rospotrbnadzor dispatched a mobile laboratory to Guinea to help contain the disease in response to a direct request from Guinea’s government, while Cuba sent 400 health workers to West Africa to help combat the epidemic. A whole host of other nations, including the US, France and the UK also offered assistance. Dr Bruce Aylward, WHO's top Ebola official, defended his body’s decision to delay calling the outbreak a public health emergency. The WHO also defended their stance, saying they were overwhelmed with a number of health crises around the globe at the time of the Ebola outbreak in West Africa, according to AP. In June, scientist Stephane Hugonnet warned that the agency was "overwhelmed with outbreaks." The health body was having to deal with a Polio outbreak in Syria, as well as a return of Middle Eastern Respiratory Syndrome, or MERS, which by early June, had afflicted nearly 700 people and killed 204, mostly in the Arabian Peninsula.